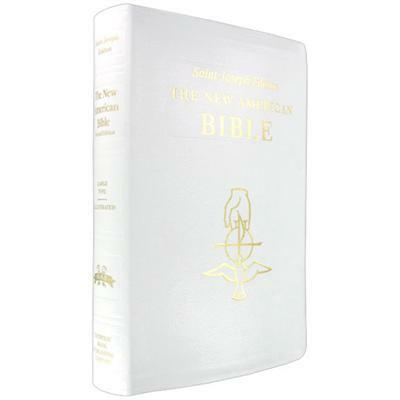 This full sized Catholic Bible features a quality white leather cover with symbols of the Holy Trinity embossed in Gold on it. 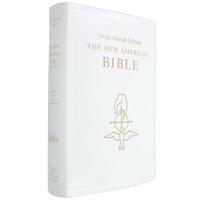 Featuring a family record section, this Bible becomes a great gift for a wedding or First Communion. The dedication page in this Bible make it a great gift idea for any Catholic. 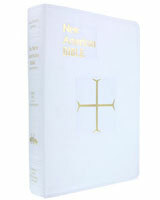 Whether for Confirmation, First Communion or RCIA this Bible will become an heirloom. 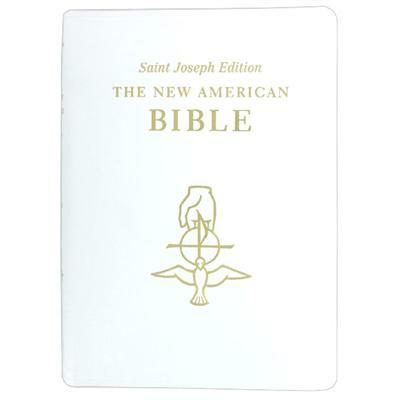 Also contains large easy-to-read typeface with all footnotes and cross-references keyed in the text. 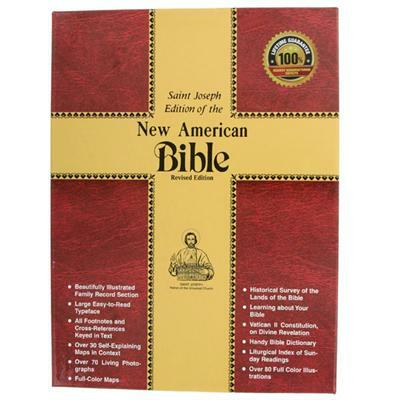 With the addition of over 30 self-explaining maps in context, 70 living photographs, and a historical survey of the lands of the Bible, this edition is quite beautiful and has full color illustrations. 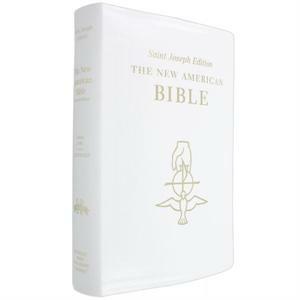 Study Features: For study purposes, this Bible contains a section on How to Read the Bible, the Vatican II Constitution on Divine Revelation, a Handy Bible Dictionary, a Doctrinal Bible Index, Map section, Glossary, a Liturgical Index of Sunday Readings and the Three Year Cycle of Readings. 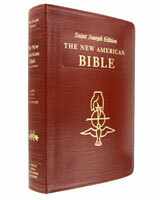 A full sized, brown leather Catholic Bible with gilded edges and full color illustrations. 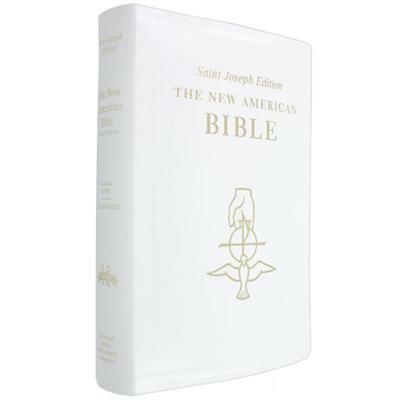 The leather and durable binding make this Bible ready for a lifetime of reading. 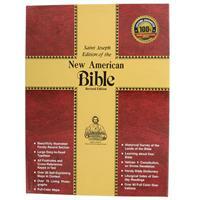 Perfect adult Bible or gift for younger faithful to grow into and cherish. 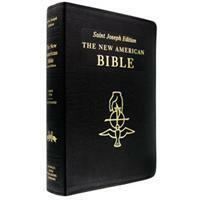 A full sized, imprintable black leather Bible with gilded edges and full color illustrations. 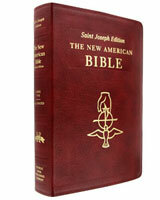 The leather and durable binding make this Bible ready for a lifetime of reading. 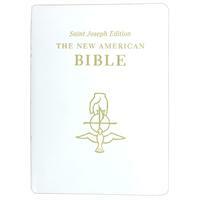 Perfect adult Bible for younger faithful to grow into and adults to cherish.